I hope you guys are prepping for an amazing entrance into 2013!! We are having a great time spending the majority of the day planning for our 2013, our babies, the new chapter in our lives! Thomas and I are geared up and ready to start our adoption journey! We have papered the walls of the nursery with butcher paper and are covering them with plans, visions, and finance charts! The picture above is on the first wall of the nursery. It’s a nice little reminder of our goals and who we depend on for what we want. 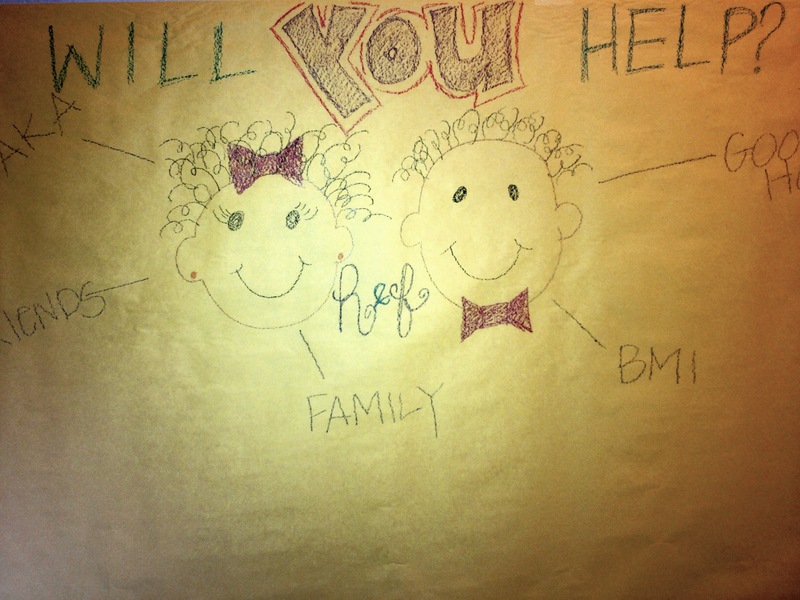 In researching adoption, we found that funding this (very expensive) event is next to never done alone by the parents…. There are grants, various programs and websites, and funding options that adoptive parents use to help raise the funds for their adoption…. that we plan to take full advantage of! Almost reminds me of prepping for college!!! And, paying might I add since this endeavor costs upwards of about $28,000. Yes. Twenty eight THOUSAND at the MINIMUM. Within a few months. So, Thomas and I have jumped on the fundraising, t- shirt designing bandwagon and are excited to get this party started! We have joined a site called Deposit a Gift and have a registry all set up where our friends, families, and supporters can donate whatever they want, as often as they want! We are asking for your support and your help with eating this elephant of a cost, one deposit at a time. 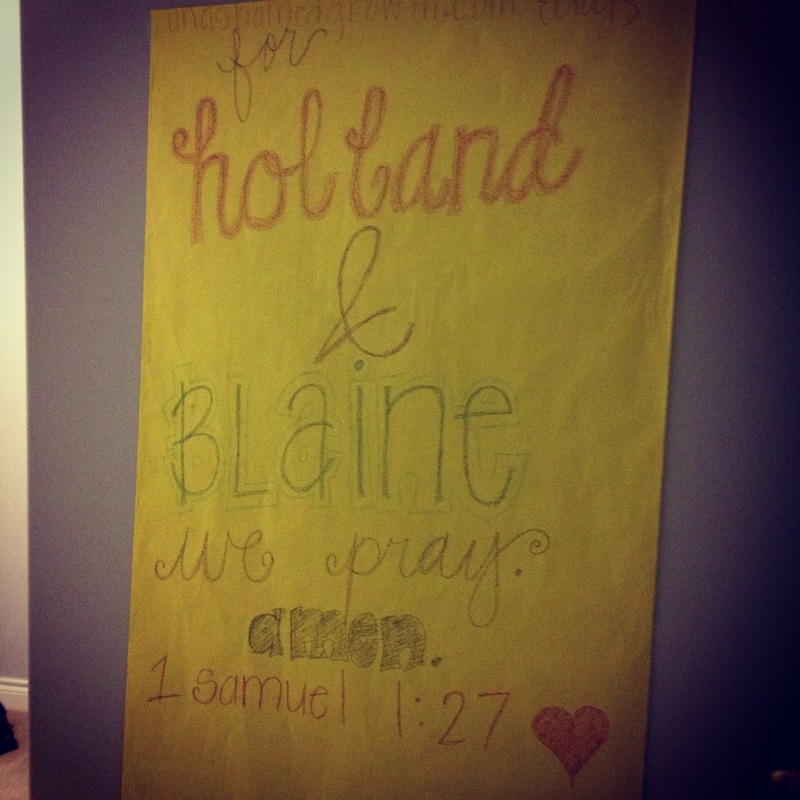 You can click for Holland & Blaine to get an idea of the site and donate when you are ready. PLEASE LEAVE YOUR CONTACT INFORMATION WHEN YOU DONATE!!! We are planning a Meet the Babies event (once the adoption is final) and you have to be apart. We’d love for you to meet our joys, take pictures with them, and celebrate our new family with us! Your support means the world to us…. more than you can ever imagine. You are helping us achieve something we CANNOT do alone. We love you. We are so grateful for you. You are a helper to the fatherless. Lord, You have heard the desires of the humble, You will prepare their hearts and cause your ear to hear. … here’s to trusting the promises of God and believing Him no matter what knowing that His plans for us are for the glory He desires – so. we know all things will turn out well. His plan, His time, His glory. Great ideas and enthusiasm! Happy new year! Thank you, we gotta make this BORING, GRUELLING part exciting some kinda way!! Happy New Year to you guys, too!!!! This is awesome! I will be happy to donate as often as I can. God bless you two on this journey.